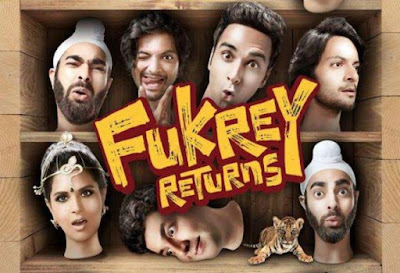 Fukrey Returns is a 2017 Indian buddy comedy film co-written and directed by Mrighdeep Singh Lamba. The film is produced by Farhan Akhtar and Ritesh Sidhwani and music by Sameer Uddin, Ram Sampath, Prem-Hardeep and Sumeet Bellary. It is the sequel to 2013 film Fukrey. The film stars Pulkit Samrat, Manjot Singh, Ali Fazal, Priya Anand, Richa Chadha, Vishakha Singh and Pankaj Tripathi. It is set to release on 8 December 2017.